Sometimes people with a dream of buying house remains a dream. 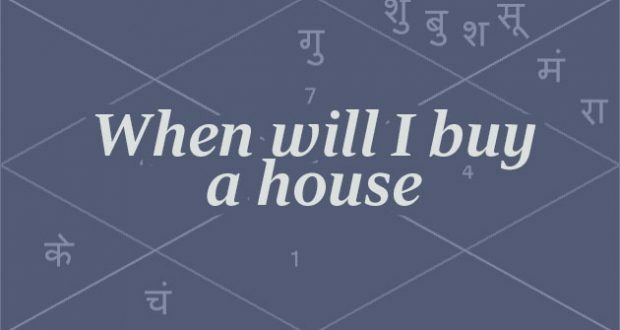 In this article I would explain when will you buy a house as per astrology. If you are planning to buy a house or property some of rules of astrology would help you to take the right decision. After long research I have found some very interesting rules of astrology which has the answer to this question that when you will have your own home and how? 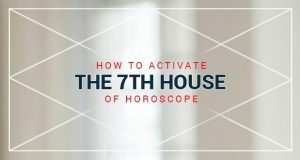 The fourth house of the Horoscope represents House, Luxury and Living. The Planet Venus is the symbol of Material Pleasure, Comfort and achievement. If fourth house of the horoscope & Venus is in good situation in the horoscope of the native then no doubt the native will have all the comfortable life. This is very common & general principle of astrology. But I would introduce you something different which I have come to know after the deep study of many horoscopes. Sun, Mercury & Rahu are the separatist planet. If there is any relation between Sun, Mercury or Rahu (with any two) and lord of the fourth house of the horoscope then the Native will live at a distant place from his house. As I have earlier mentioned that the planet Venus is the representative of worldly leisure. Weak Venus deprived the native from the worldly pleasure. If Venus is inauspicious, affected by malefic planets (Sun, Mars, Rahu, Ketu, Saturn) or debilitated then it is quite possible that the native will be unable to use his own resources of pleasure, happiness & comforts. The other people use his wealth & resources, the other people may be his relatives or friends. In case the lord of fourth house is retrograde (वक्री) then the native may not be able to use his own house. Either his house may remain empty or the tenant uses his house. If the lord of the fourth house is exalted (in powerful position) in the Navmansh Chart then the native gets the house after marriage. The native gets the same results if the planet situated in the fourth house becomes exalted in the Navmansh chart. The lord of the twelfth house is somehow related to the fourth house then the native either own the house in the Abroad or he spent his whole life in the rented house. The lord of the fourth house if sit in the 1, 4, 7, 10 zodiac sign (Aries, Cancer, Libra, Capricorn) in the birth chart & Navmansh Chart then the native may keep changing house in his whole life he will never live in one house for long duration. The lord of the fourth house if sit in the 2, 5, 8, 11 zodiac sign (Taurus, Leo, Scorpio, Sagittarius) in the birth chart & Navmansh Chart then the native will live in one house for long duration. In the Ashtakvarga if the lord of the fourth house gets more than six line then the native will have pleasure of big house. The native will have to suffer time and again due to house if the fourth house of the horoscope is affected from the Mars, Rahu, and Saturn. The house in which he lives has the countless problems. In other words, whenever the matter of house comes he never take a sigh of relief. The native never experiences the peace of mind in his house when the lord of fourth house situated with Mercury & Rahu (Read more about Rahu). A book could be written on this subject but I have chosen the practical things based on my experiences. If you have any curiosity, suggestion or complaint then please use the comment box or email me.